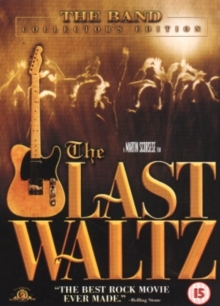 Martin Scorsese's 1978 documentary chronicling the farewell concert by The Band, featuring guest appearances from, among others, Bob Dylan, Neil Young, Neil Diamond and Joni Mitchell. Martin Scorsese's 1978 documentary chronicling the farewell concert by The Band, featuring guest appearances from, among others, Bob Dylan, Neil Young, Neil Diamond and Joni Mitchell. The performance took place at San Francisco's Winterland Ballroom on Thanksgiving Day, 1976, and marked the end of the group's 16 years of touring. The film also includes interview footage with all five members in which they discuss their experiences on the road. The performance took place at San Francisco's Winterland Ballroom on Thanksgiving Day, 1976, and marked the end of the group's 16 years of touring. The film also includes interview footage with all five members in which they discuss their experiences on the road.